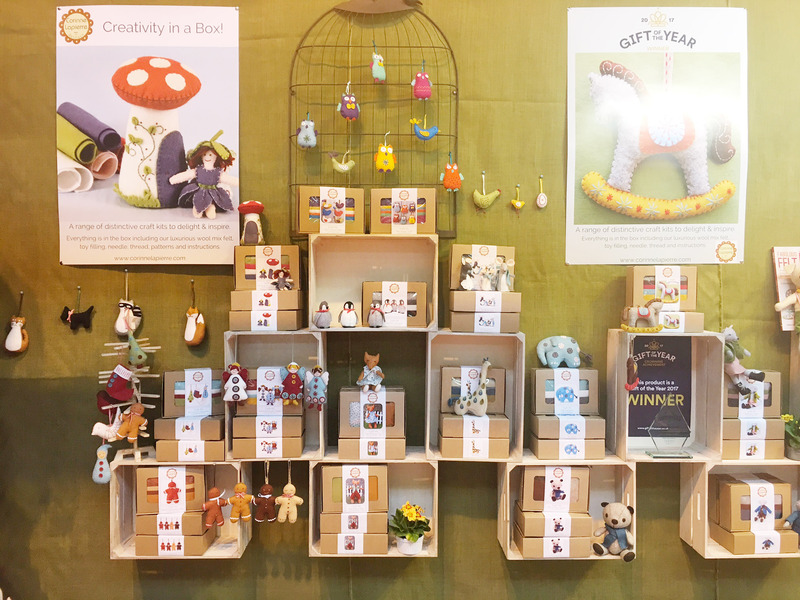 Last week I was up at the NEC in Birmingham for my first ever craft trade fair… CHSI Stitches. 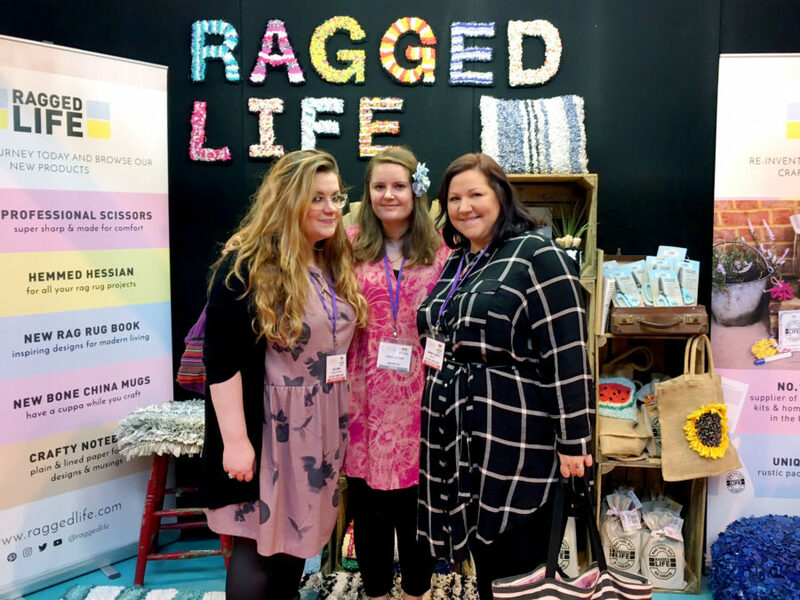 Although I was there to sell my rag rug kits and tools into craft shops across the country, I couldn’t help taking advantage of a quiet moment to explore the fair and see what other crafty creators were up to. Below are a few of my favourite products from the fair. Hope you enjoy! 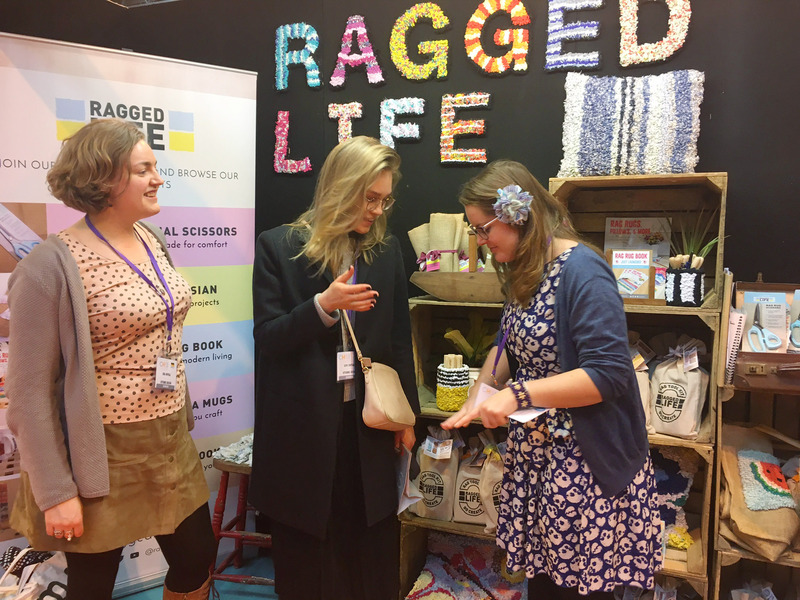 Before I get into the ins and outs of what everyone else was up to, I thought it would only make sense to share a few photos of the Ragged Life stall. 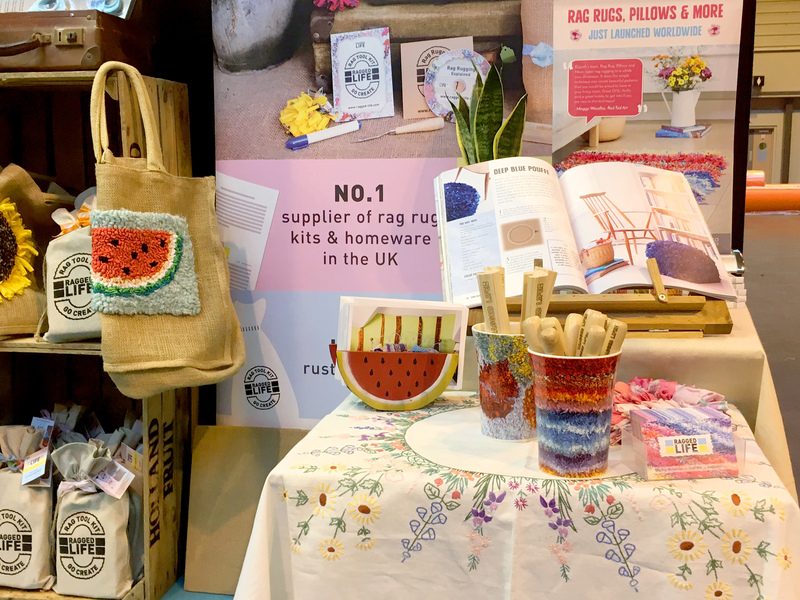 I really wanted to convey the fun personality of Ragged Life so naturally there’s plenty of colour, rag rug knick knacks and rustic display items. I realised the day before the fair that I only had one rag rug “G” so had to quickly rag rug up the yellow on the night before – I really think it was worth it though as you could see the letters from all the way up the corridor! 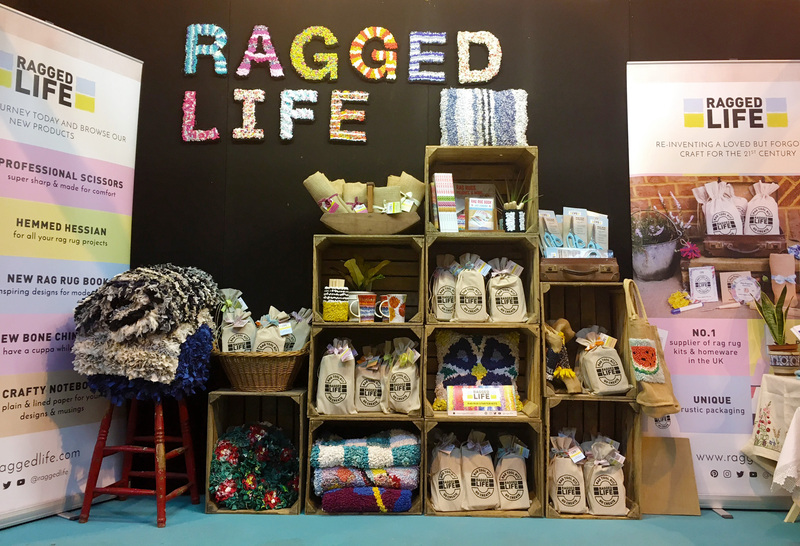 The Ragged Life stall looked pretty cosy at CHSI Stitches. Your home away from home! We had plenty of colour on our stand at CHSI Stitches. A particular favourite was our new rag rug mugs which went down a treat. One of favourite aspects of any craft fair is bumping into creative friends like lovely Sammy from craft blog, Live it. Love it. Make it. She popped over to say hi and order a few mugs and tools. It was so nice seeing Sammy’s friendly face at the fair! The ladies from Ottobre Magazine came over for a chat too. As a first-time exhibitor at the fair, I was in the “Bright Sparks” area which is reserved specially for businesses who are new to the fair. One of the great things about this was that all my neighbours were up and coming brands in the craft world. Below are a few Bright Sparks I particularly loved! 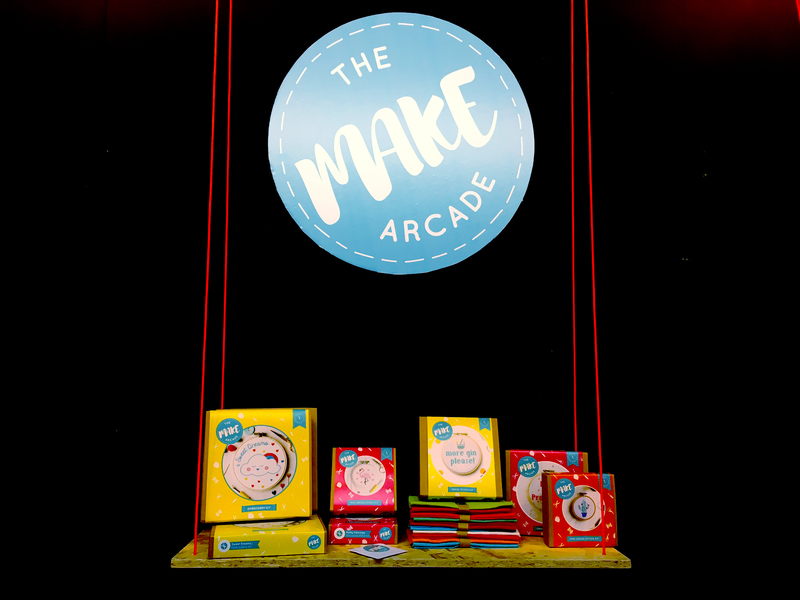 The Make Arcade kits would make gorgeous gifts for crafters! Ottobre Magazine is an inspiring pattern magazine made specifically for people who love sewing. Their designs were contemporary and cool. The best news is that even though the magazine is Scandinavian, you can subscribe to the magazine from anywhere in the world (and it’s in English)! 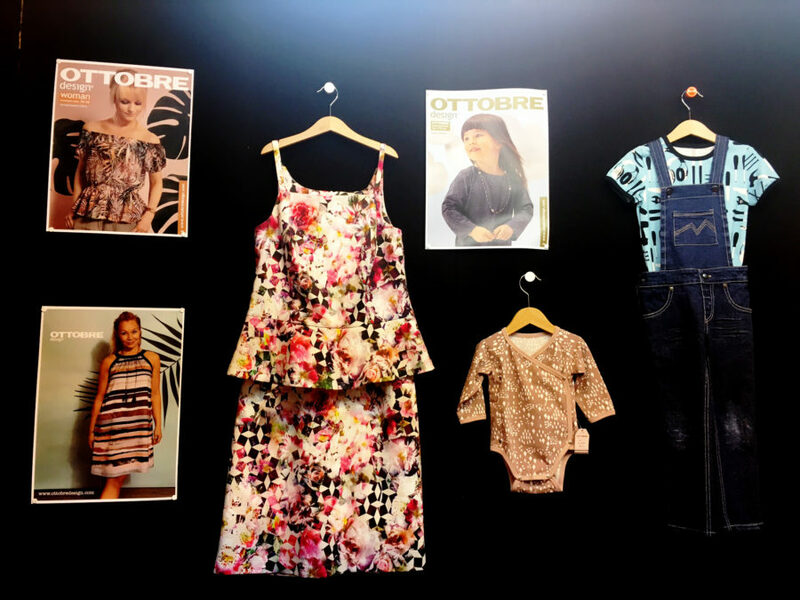 Ottobre magazine had gorgeous sewing patterns on display. 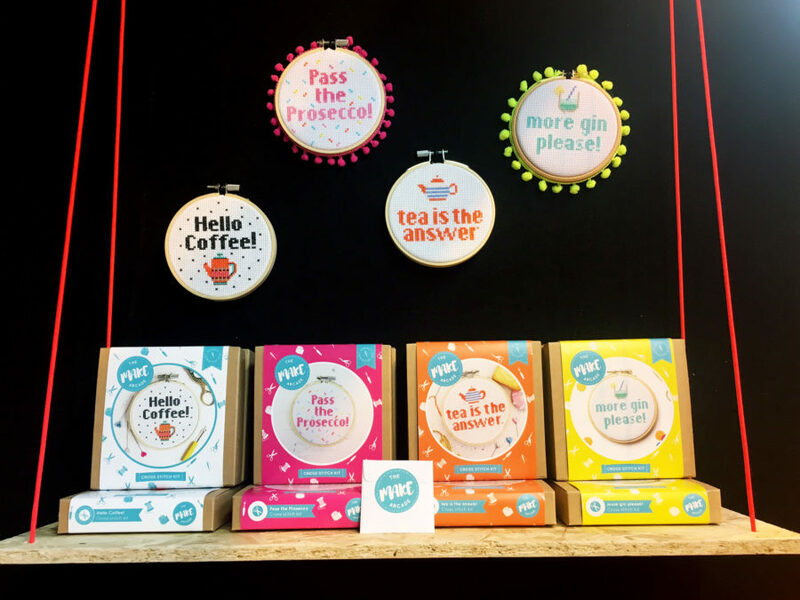 I never got a proper chance to chat to Corinne Lapierre as things were busy busy busy but when I finally did get a chance to browse, her kits struck me as the kind of thing crafts should be. Easy projects, beautiful packaging and, most importantly, things you’d actually want to make! Definitely a good stress buster this one. Corinne had kits for all kinds of small projects. 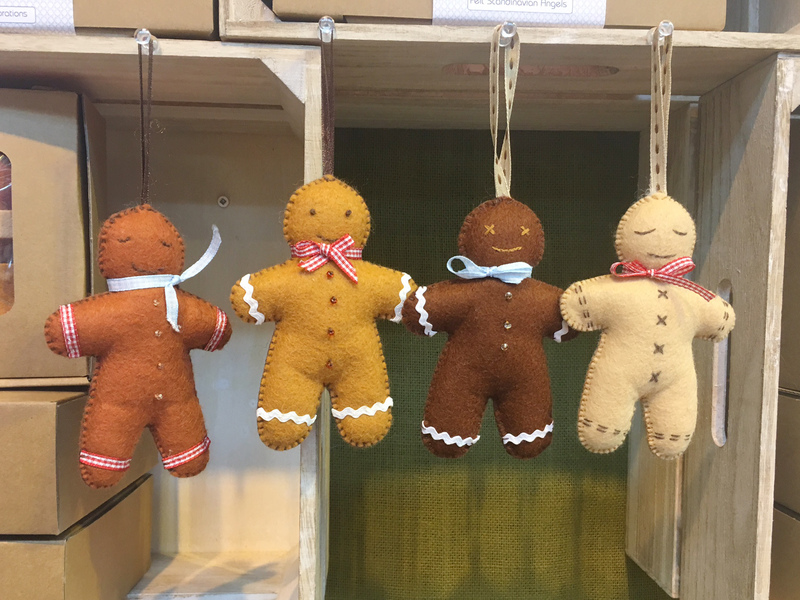 I particularly liked the gingerbread men decorations which would make a lovely kit in the lead up to Christmas. 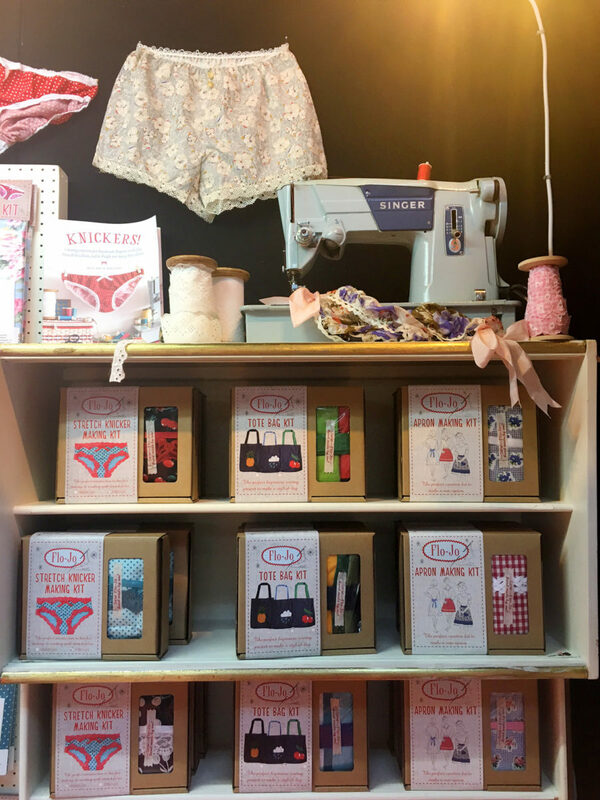 Little bit naughty perhaps but I really liked Flo-Jo’s Knicker Making Kits – they came in a whole variety of different fabrics and styles. Flo-Jo had a great selection of make-your-own vintage style knickers. Love a bit of lace! I’m a sucker for a bit of vintage so I couldn’t help myself from taking a photo of this old singer sewing machine. 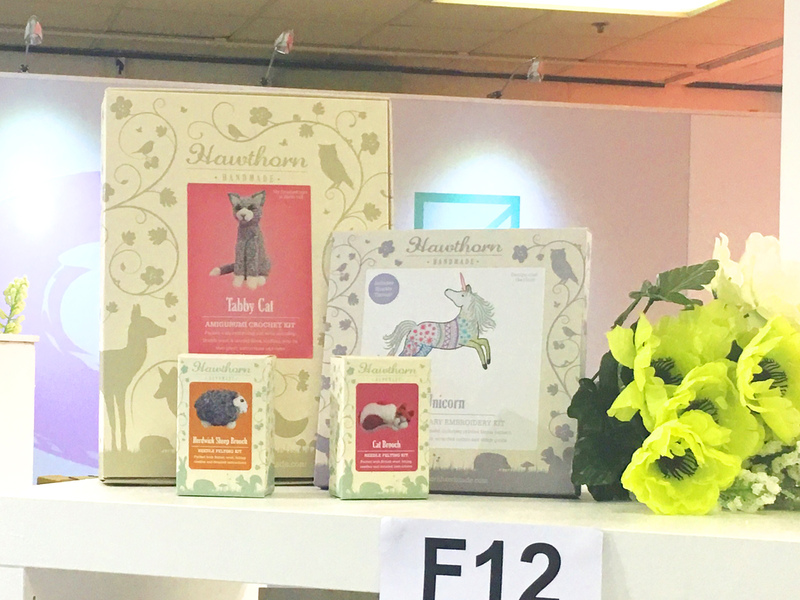 The CHSI organisers included a “New Product Showcase” area near the entrance to the fair so visitors could easily see what was hot off the press in the world of crafting. The moment I got a bit of time, I beelined it over there to see what exciting new things I could get my hands on. To be honest, I was a little let down by the selection. I was expecting innovative products and kits but didn’t really come across anything that got me excited. Below are a few items that I thought were pretty neat though. 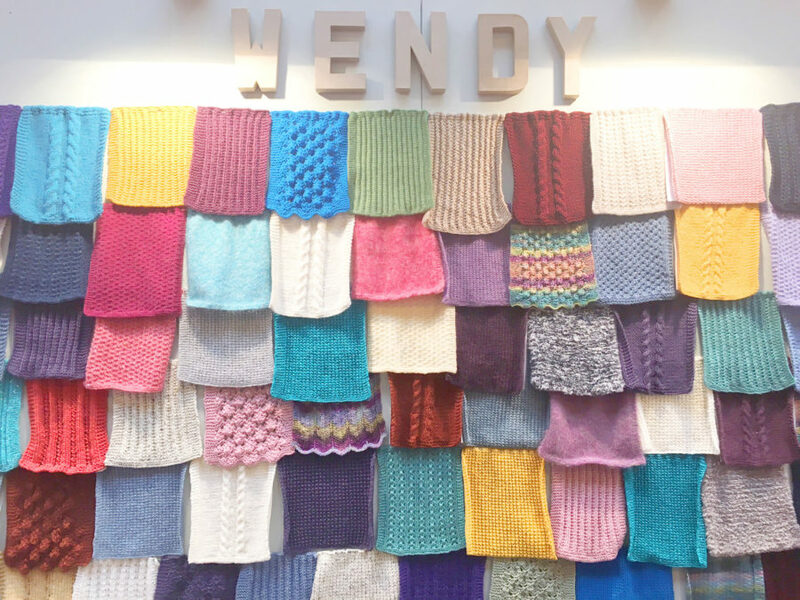 Anyone who knows me well knows that I have an inner struggle between loving colourful crafts and neutral Scandi-style ones. I often flit between the two to get my fix. 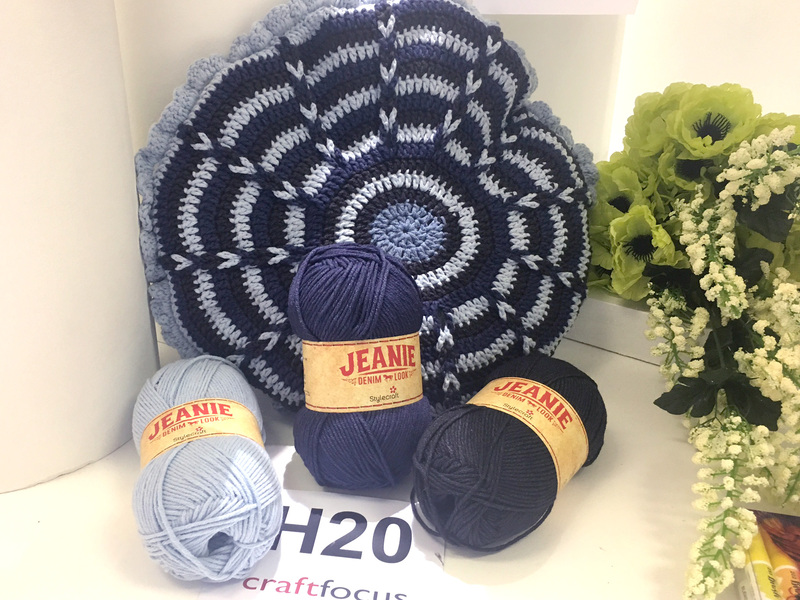 I don’t think it’s 100% innovative but I thought this Jeanie denim-look wool was quite cool and the fact that the colours already complement each other is a big win. Not the most fabulous of photos but the crochet kits from Hawthorn were really something special. I’m a sucker for cats but they had kits for all other kinds of animals too. If only I could do crochet stitches other than a puff stitch! 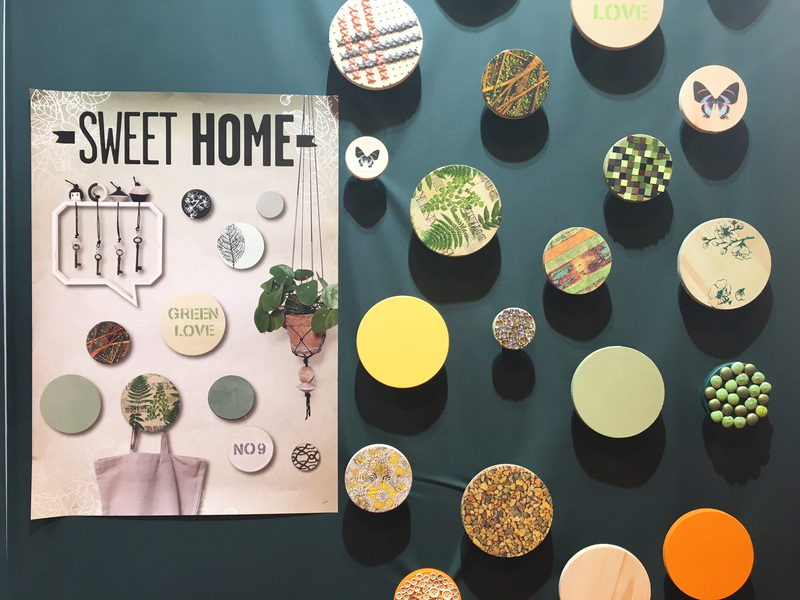 Weirdly enough one of my favourite items from CHSI Stitches were these circular wooden hangers from Creativ Company – they felt contemporary and could be customised to fit with the tastes of any home. The way they were used in this display made for a really interesting feature wall. The sky’s the limit where design of the circles is concerned. 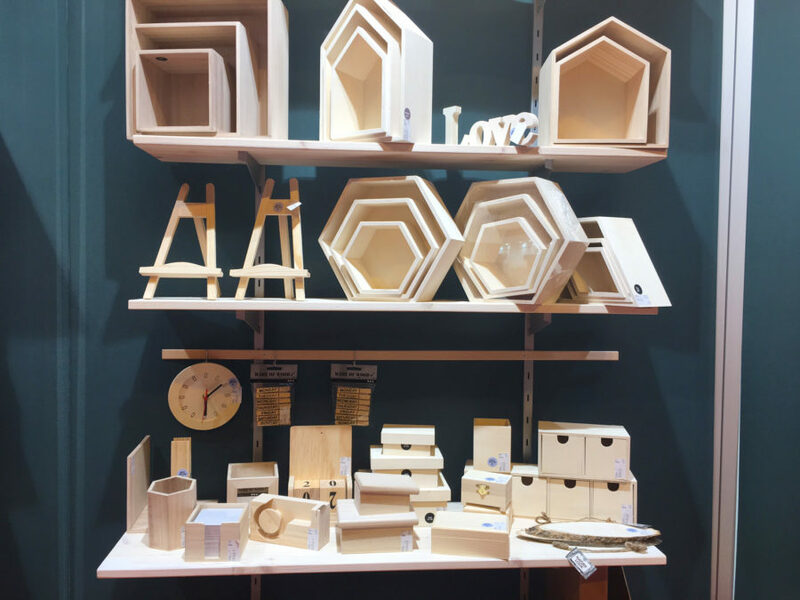 If circular hooks weren’t exactly your thing then there were plenty of other wooden projects for you to choose. The mini easel was sweet. 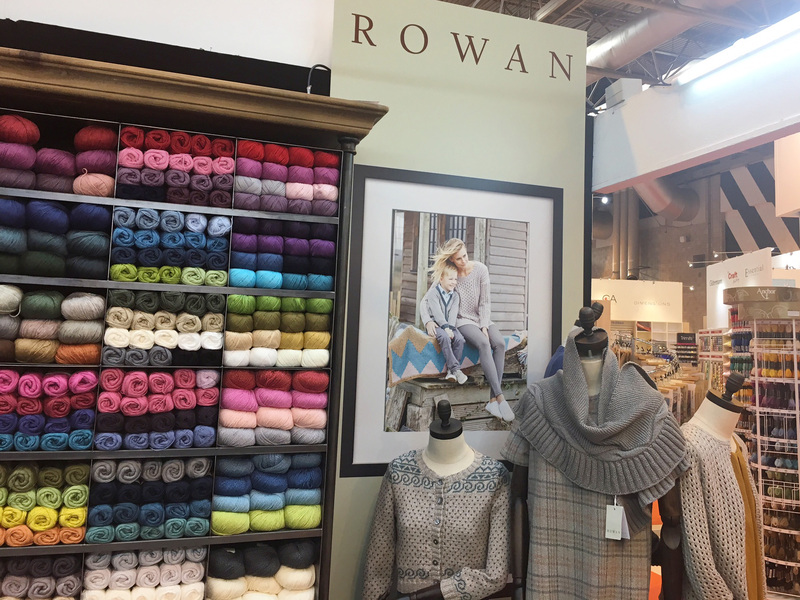 Rowan always makes me think of my mum knitting me clothes when I was little. She has so many old patterns stored up. 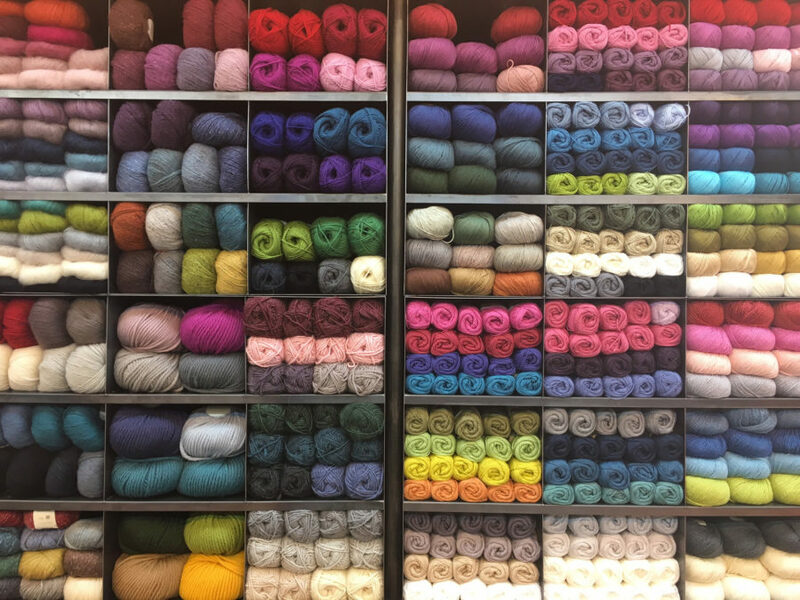 Wool lovers couldn’t help but love this wall of different knits. This would make the loveliest patchwork bed cover ever! 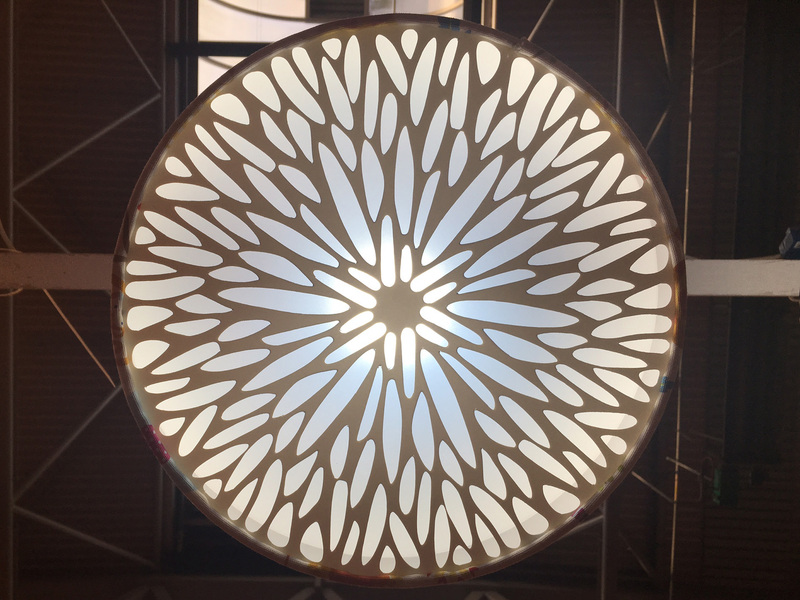 One of the most interesting products I came across at the fair were these light diffusers that fitted into the bottom of lampshades. They were really striking and fun. 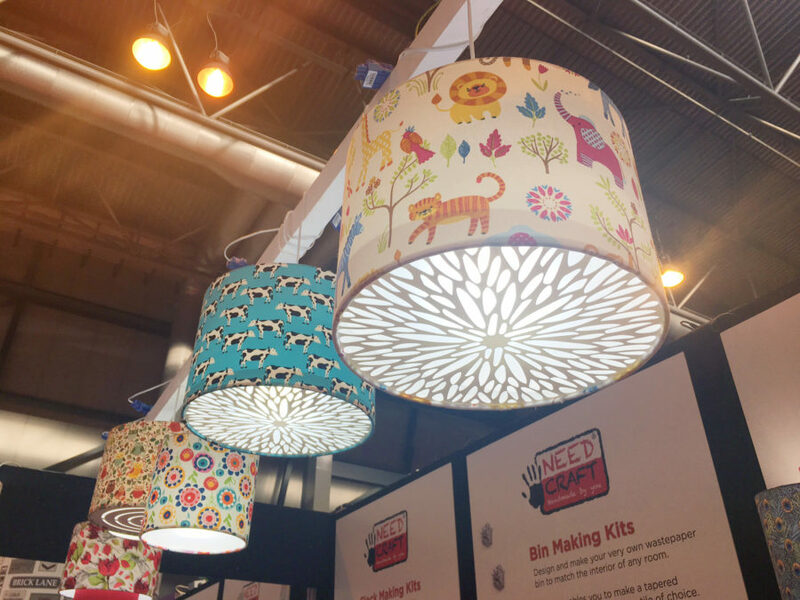 Children would absolutely love these lamp diffusers which come in a number of different patterns. I looked a little weird getting this photo but it was worth it. 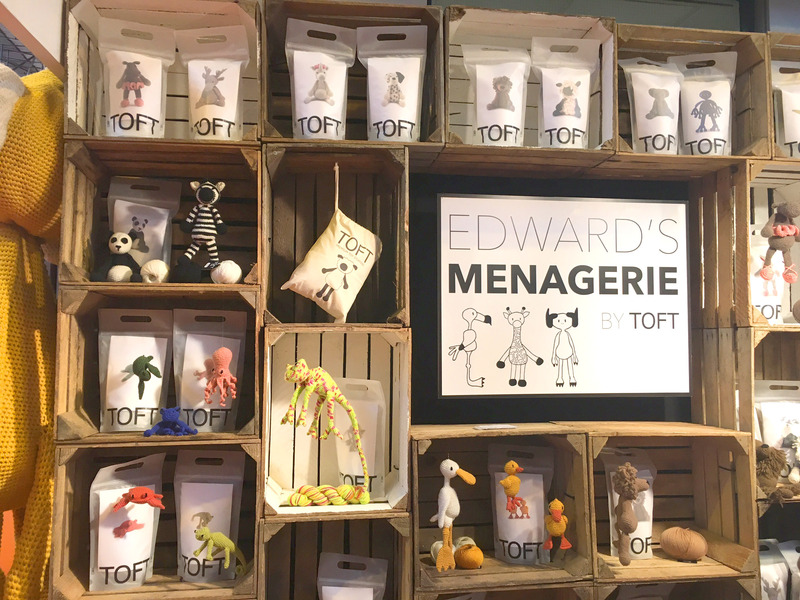 One of the company’s I come across at all the big shows is Toft and their fabulous selection of knitted animal kits. Their stall looked ace too. Soooo many cuddly toys to choose from. 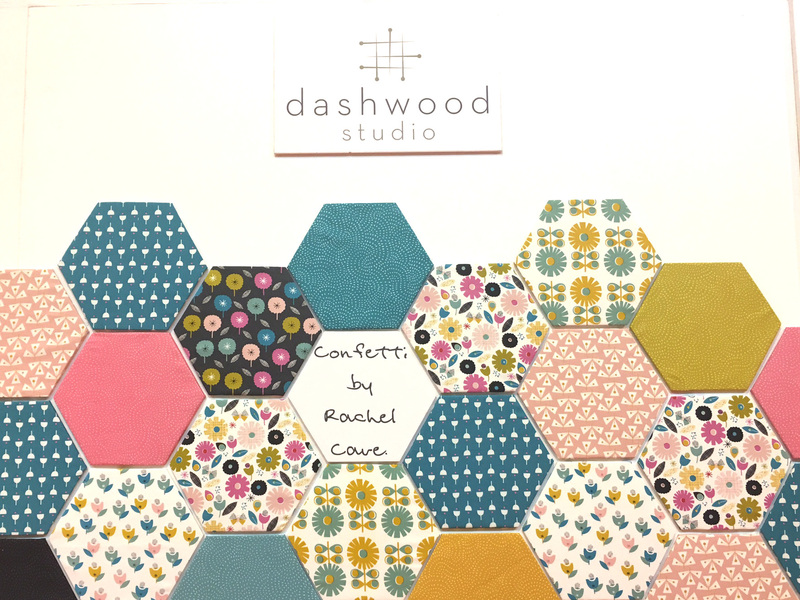 Sewing isn’t exactly my forte and the fabric I normally deal in is old clothing and offcuts but even I was tempted by these stunning fabrics from Dashwood Studio at CHSI Stitches. 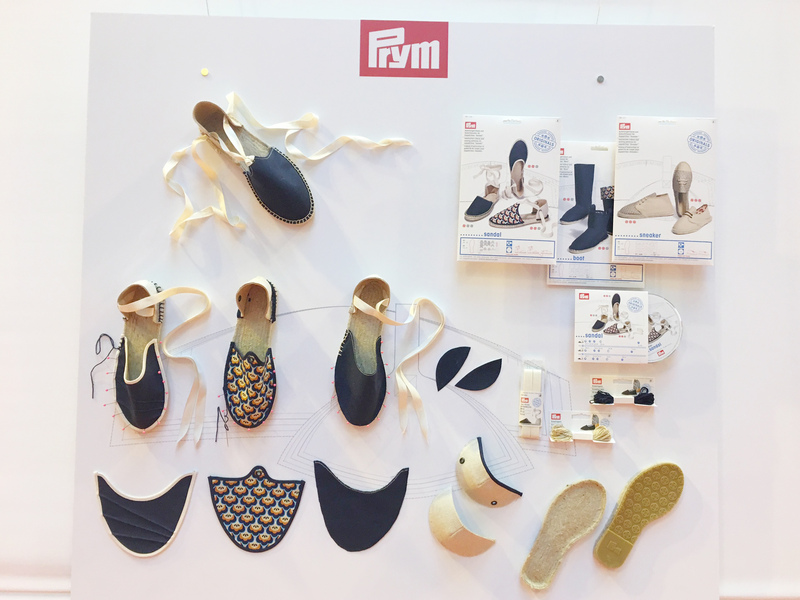 I’ve always wanted to make a pair of espadrilles and I think these classic designs may be the ones for me. This entry was posted in Craft Fairs, Workshops & Fairs and tagged 2017, Birmingham, CHSI Stitches, Fairs & Shows, Other Crafts, Trade Fairs. Bookmark the permalink.